Scene 41: You Are History! 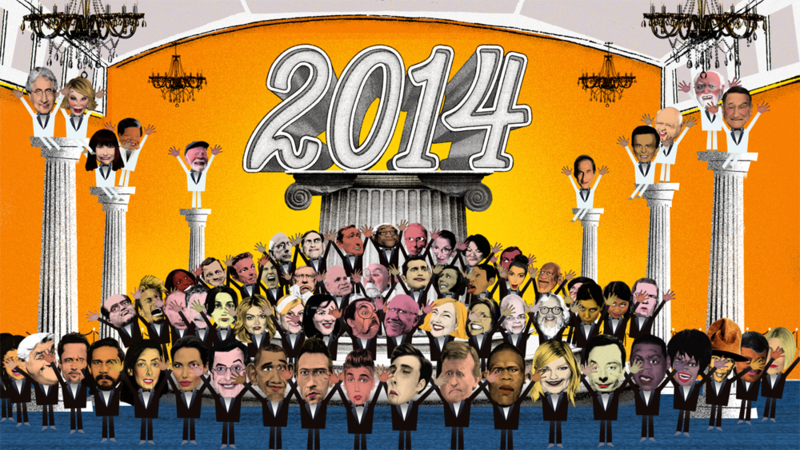 The final shot is a veritable cavalcade of stars, all put through a special JibJab animation-style design. See if you can name ’em all! Okay, that’s it for 2014! See you next year…! Go Back Home & Start All Over Again!